All Four Love: IKEA has Diapers? If you've been to an IKEA, you know they have pretty much everything - even tiny delicious meatballs. Mmmm! Recently, I've spent some a lot of time on diaper swap forums and discovered something interesting; apparently, IKEA has cloth diapers too. Well, not really cloth diapers, but in true IKEA fashion they're just a quick hack away. All diapers break down to two things - something absorbent and something waterproof. Simple, right? Well, the fun part is getting creative with those two things. 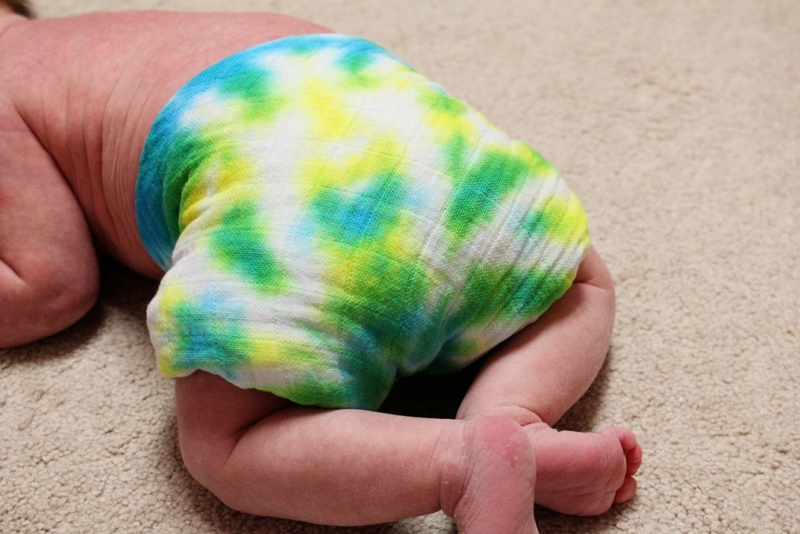 Now a days, there are a lot of different materials available to make cloth diapers absorbent - hemp, cotton, microfiber, terry, flannel, bamboo, zorb, etc. in various styles - liners, inserts, boosters, soakers, and so on. Way back when, however, there was pretty much just cotton and pins. Large pieces of cotton fabric, called flats, were folded up in various ways to fit different size kids and absorbency needs. Turns out, these IKEA "burp cloths" make excellent flats! Flats are trim, absorbent, and very customizable. 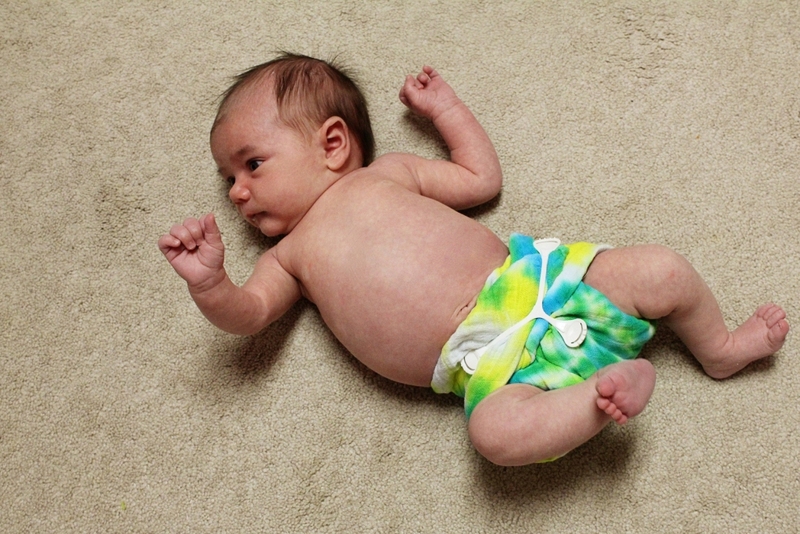 Paired with a waterproof cover they make a great, cheap option for cloth diapering. While visiting my good friend Mary (visit her over here! ), we stopped by IKEA for some lunch and shopping. I picked up a few packs of the burp cloths to give this whole flats thing a try. I've really loved using prefolds, so why not! Sold under the name "vandring," these 27 1/2" x 27 1/2" cotton cloths come in sets of 2 for $3.99. They're sold in the kid and baby section with the sheets and blankets and as with most things at IKEA, it isn't actually labeled to what it is - burp cloth, cloth diaper, or otherwise. I have read, however, that in Germany they are actually labeled as cloth diapers. Kind of neat! I prepped my flats by sending them through two hot wash cycles with soap and extra rinses with dryer cycles in between. They shrunk as can be expected and got nice and quilty soft. Now, time for the fun. Tie dye! Do flats need to be tie dyed? Of course not. White ones absorb just as well as colors, but why the heck not do it anyway! I bought a Jacquard tie dye kit from Michael's to do the job. I love the Jacquard kits - the colors are super vivid and the kit comes with everything from rubber gloves to squirt bottles to soda ash. My favorite tie dye technique is the spiral, but there are a ton to choose from! Now to use them, ya know, the helpful part of this post. Thanks to the wonderful invention that is the internet, there are a ton of picture and video tutorials on how to fold flat diapers. I tried a few folds on G before she was all, "dude, just put and keep a diaper on me please." The "kite fold" seemed to be the easiest and the "tweaked diaper bag fold" seemed to have the best gussets, but I definitely need to get better at the folds in general. So far these seem as absorbent as my prefolds, which is nice, but until I can get them folded just right I'm afraid they'll be leaky. Flats definitely have a steeper learning curve than prefolds, but that's alright. They dry ridiculously fast in the dryer (I think it took them 15 minutes on medium high heat?) and are super inexpensive. You could even hand wash these puppies if you needed to. Not too shabby. I still think prefolds are my favorite, but its good to have various things in your stash. Especially if they're this cute. I see you've left out the soapsplosion :) Cool idea though. I did! Not intentionally, I swear. Haha I found out it was our soap. Somehow we ended up with non-HE Tide. Whoops! I think some of the leaking problems people have are due to incorrect prep and washing so if you follow the directions for diapers and use the correct soap you shouldn't have a problem. Will be throwing a tye dye baby shower next month. How did the colors hold up on these? Am finding so many different directions and products on the internet, not sure which to choose. Thanks! This product is not available at IKEA anymore, I have been searching for it for many months. It is available in Europe (I think it's the same product) but they will not deliver to the USA. Do you know where I can get some?